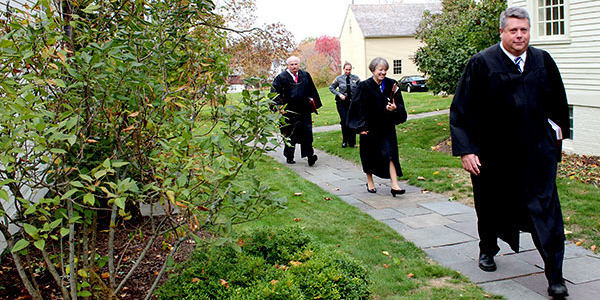 Chief Judge Alexandra D. DiPentima and Judges Michael R. Sheldon and Eliot D. Prescott heard two oral arguments recently on the grounds of the Tapping Reeve House and Litchfield Law School. 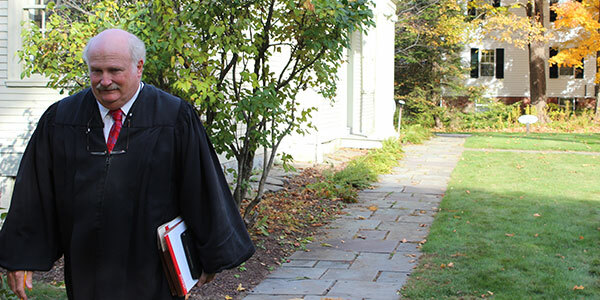 Upon entering the "courtroom," which was, essentially an 18th-Century classroom for students at the nation’s first formal school of law, Chief Judge DiPentima said that her initial reaction was, "Wow!" She further explained that it was a privilege and an honor to sit where so many of our earliest lawyers, congressmen, Supreme Court Justices, Senators, Governors and other prominent men of their day had studied the rules of law. 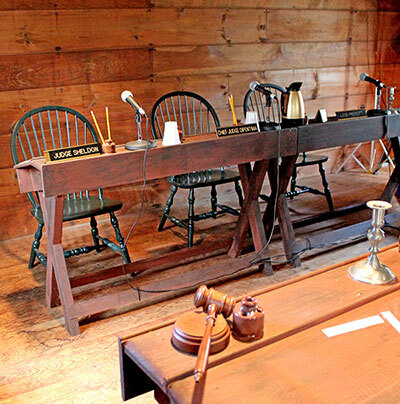 But it didn’t take long for the Judges to take their places in what was once a moot trial courtroom and begin hearing the two cases: State of Connecticut v. John Panek (Attorneys William B. Westcott and Denise B. Smoker) and Maria Diaz v. Manchester Memorial Hospital (Attorneys Megan Piltz and Michael D. Neubert). 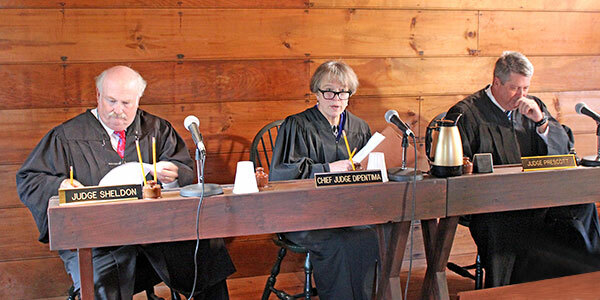 The visit to Litchfield was part of the Appellate Court’s "On Circuit" program, which provides students, educators and the public with a greater understanding of appellate courts. 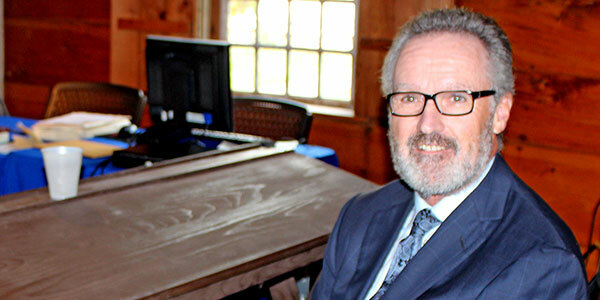 Since the program began in 1996, the court has heard arguments at several high school and higher education locations. 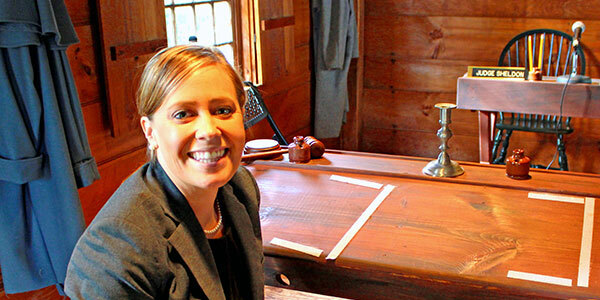 The Judicial Branch worked closely with the Litchfield Historical Society and its Executive Director, Catherine Keene Fields. 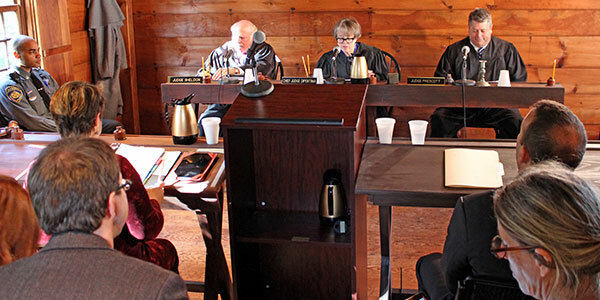 Since the courtroom was so small—with only room enough for the Judges, the attorneys from each side and modern transcription and video equipment—invited students from Northwestern Regional School District No. 7 followed the cases on a video feed in the home of founder Tapping Reeve. 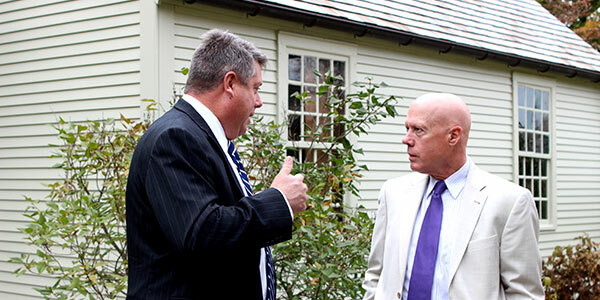 After each case the arguing attorneys went to the Reeve House to answer questions from the enthralled students. 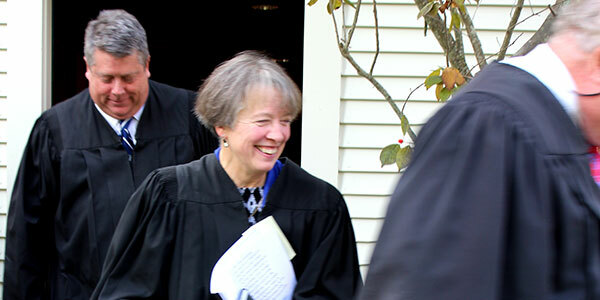 Appellate Judges walk to the courtroom. 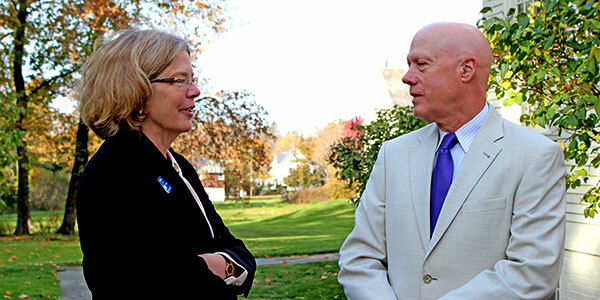 Litchfield Historical Society Executive Director Catherine Keene Fields and Litchfield JD Administrative Judge John A. Danaher III. 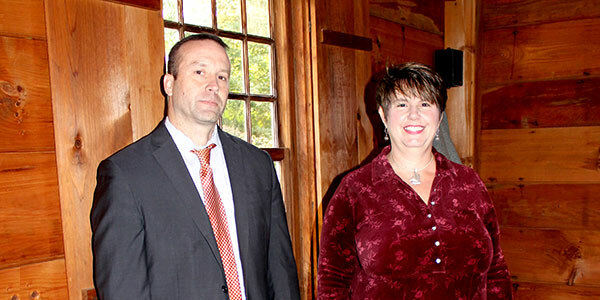 Appellate Court Chief Judge Alexandra D. DiPentima (center), and Judges Michael R. Sheldon and Eliot D. Prescott. Attorneys William B. Westcott and Denise B. Smoker.